BBC Radio 4 - Analysis, Radical Economics: Yo Hayek! Over two weeks, Analysis considers radical alternatives to mainstream economics. This week, Jamie Whyte looks at the revival of the free market Austrian School of FA Hayek. Was the economic crisis caused by fundamental problems with the system rather than a mere failure of policy? Over two weeks, Analysis investigates two schools of economics with radical solutions. 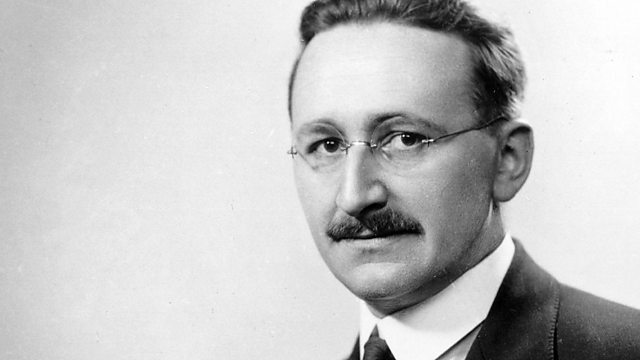 This week, Jamie Whyte looks at the free market Austrian School of FA Hayek. The global recession has revived interest in this area of economics, even inspiring an educational rap video. "Austrian" economists believe that the banking crisis was caused by too much regulation rather than too little. The fact that interest rates are set by central banks rather than the market is at the heart of the problem, they argue. Artificially low interest rates sent out the wrong signals to investors, causing them to borrow to spend on "malinvestments", such as overpriced housing. Jamie Whyte is head of research and publishing at Oliver Wyman, a management consulting firm. He is a former lecturer in philosophy at Cambridge University and the author of Bad Thoughts: A Guide to Clear Thinking. Next week, Newsnight's Economics Editor Paul Mason meets the economists of "financialisation" and asks whether the growth of credit has given birth to a new kind of capitalism. Paul Mason chairs a debate between followers of two contrasting liberal economists. Paul Mason asks whether the expansion of credit created a new form of worker exploitation. Michael Blastland goes to Athens, where economics as a discipline began.